VPNGhost offers 3 subscription packages to get your hands onto their services. 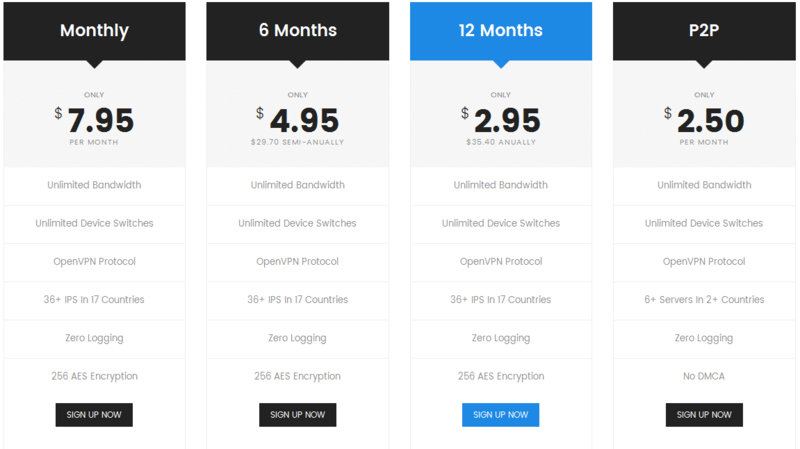 The pricing plan of VPNGhost seems really ravishing starting from as low as $2.95/month for the Yearly Plan which will be billed $35.40 annually. The Semi-Annual Plan will cost you $4.95/month i.e. $29.70 half-yearly and$7.95/month to get the Monthly Package. All the three plans work equally well over 2 devices at a time offering unlimited bandwidth and fast speed. We don’t see VPNGhost to support plethora of payment methods but whatever they accept are sufficient for one to pay with full anonymity. They accept the most secured PayPal, the anonymous of all Bitcoin and Litecoin. You can even make your payments totally out of risk by paying via Tor Browser. This is really a crucial situation if you buy a VPN subscription and don’t get a money back guarantee. VPNGhost are so confident on their services that they have no money refund policy. That is to say, once you have paid for a plan, they are so sure that you will never be discontented the service they provide you. For those who want to experience their services prior to the purchase, VPNGhost provides you the ability to test their services via a free trial. The free membership is for lifetime but choosing the free trial you would be bound to use only 1 server to 1 country and only 1 device. However, to get access to all of their servers, you can sign up to any one of their affordable pricing plans. The server count and the number of server locations may not seem good at quantity but VPNGhost providers are very well committed to the quality of service and fast connections. They have deployed their servers in 16 countries including USA, Canada, Switzerland, Spain, Mexico, Singapore, Hong Kong, Japan, Netherlands, Bulgaria, UK, Germany, France, Australia, Romania and India. VPNGhost provides engaging video reviews to assist their customers about what VPNGhost can do to overcome their clients’ problems with such remarkable features and services offered. VPNGhost proffers the business professionals who use VPN to protect their business from the cybercriminals by providing their Business Private Servers. You can subscribe to their private server subscription plan annually which automatically gets renewed after completing the time period of one year. For improved security and better anonymity, VPNGhost only provides shared IP addresses to their VPN customers. Using shared IP addresses is beneficial as the snoopers may not get a single info about which one is you from a pool of different users. This is to make you untraceable in the eyes of cybercriminals and hackers. In spite of hiding your IP address, VPNGhost also makes it difficult for one to chase your existence over the web. Although VPNGhost only provides multi-logins over any 2 of your devices but they cheers you up with the unlimited device switches facility. It means that you can connect a single VPNGhost account on any of your 2 devices but can switch one device with another any number of times you want. The compatibility range of VPNGhost is not much lengthy but we found them supporting most of the major platforms. These include operating systems like Windows, Mac OS and Linux, devices such as iOS and Android. VPNGhost is compatible with DD-WRT routers as well. Although, they presently don’t have their own VPN client for any device or OS but they have been working over it and soon be launching the VPNGhost software and connect app. Security is top-notch… VPNGhost does not compromise upon the security of their customers and provide high-level encryption over the VPN tunnel between the two ends. VPNGhost supports only OpenVPN protocol as it uses a good combination of speed and encryption which is considered more secure as compared to that of PPTP or L2TP/IPSec. The support for only OpenVPN is meant to sidestep any hurdles for installing VPNGhost on any of your device. Using OpenVPN you can make your online information such as passwords, credit cards and bank account numbers non-detectable through 4096 DH AES 256-bit encryption. The customer support of VPNGhost is really very helpful and quick. They provide a number of possible means to get into contact with them. VPNGhost is available 24/7 through live chat (though we did not find them online due to geo-mismatches) but we were able to approach them through support tickets and email. VPNGhost has also established Knowledgebase section which contains all the Frequently Asked Questions that helps users in learning about their services. VPNGhost is also active upon social media i.e. they have created their page on Facebook and welcome users with queries over there as well. To set up VPNGhost on Windows, you first have to download and install OpenVPN in your system. Once you have cleared up with the payment procedure, you will receive an email for the confirmation of your VPN account activation requiring you to create a username and password for yourself and providing you with a link for installing OpenVPN. Download and install the OpenVPN (32-bit or 64-bit). Make sure that the TAP drivers are set to ‘Allow’ while installing OpenVPN. 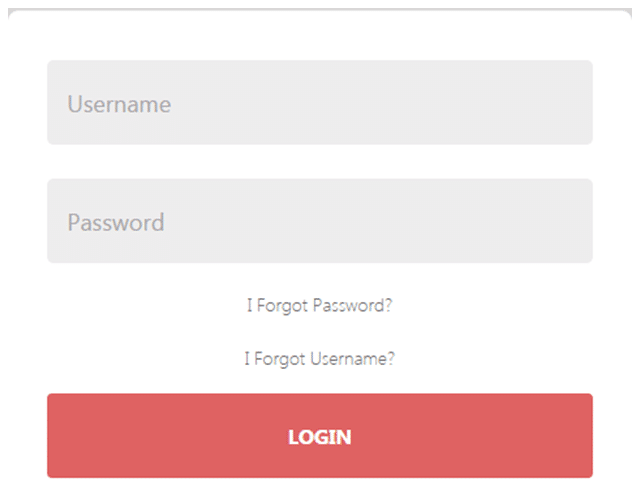 Now, download the connection keys from their official website for which you will have to login first. After you login, the following window will appear; click on ‘Download Keys’. Once, the downloading is completed, open the key.zip file and click on ‘Extract’. After the key.zip files are extracted, move them to the OpenVPN config folder. Open your ‘Start Menu’, right click on the OpenVPN GUI and click on ‘Run As Administrator’. Congratulations! You are connected to VPNGhost and can choose/switch the server from the bottom right corner of your screen. VPNGhost provides better services with servers spread in the most major locations round the globe and continuously adding up new servers to the list. Although VPNGhost is only a year old but it has started up with good infrastructure. Concluding the conversation, VPNGhost has been able to catch up the path and will soon be able to stand high among the top VPN providers in the market. Just give it a try to VPNGhost and you will never regret it! I have been using VPNGhost for a few months and im very pleased with their service. They have a good selection of servers and speeds are good.